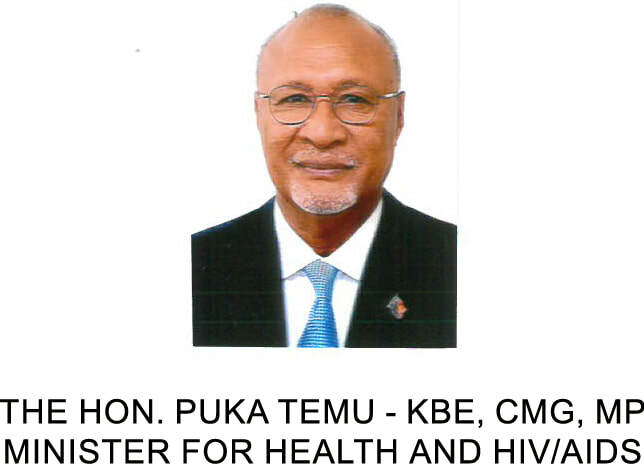 objectives of the National Health Plan, the PNG Development Stragetic Plan and Vision 2050 illuminate your paths"
"I prefer no one to falter or hide or be free riders. You take the oath of office, you want to serve the people of PNG, even in trying conditions, now is your chance to prove it. The governement has allocated the resources for your backup, utilise them well so that I can report back to the Government on results, and even demand for more support should you require them, provided you give me the evidence." Minister Hon. Michael Malabag's words at the dedication service of the Department of Health, held at the Bethel Tabernacle of Praise, Waigani Drive with the theme, 'REACHING EVERY DISTRICT IN 2013 TO MAKE A DIFFERENCE'.